Lisa and I love watching the Olympics, and this summer there were several sports in which we caught just about every event. One of them was beach volleyball. During a crucial game, one of the U.S. women’s teams had a rough go. A seasoned veteran wasn’t having her best day, and the opposing team kept targeting her, directing most of their attacks her way. The U.S. team lost that match. To her credit, this player took full responsibility and said she just had to start playing better (which she did in the next match; they went on to win the bronze medal). 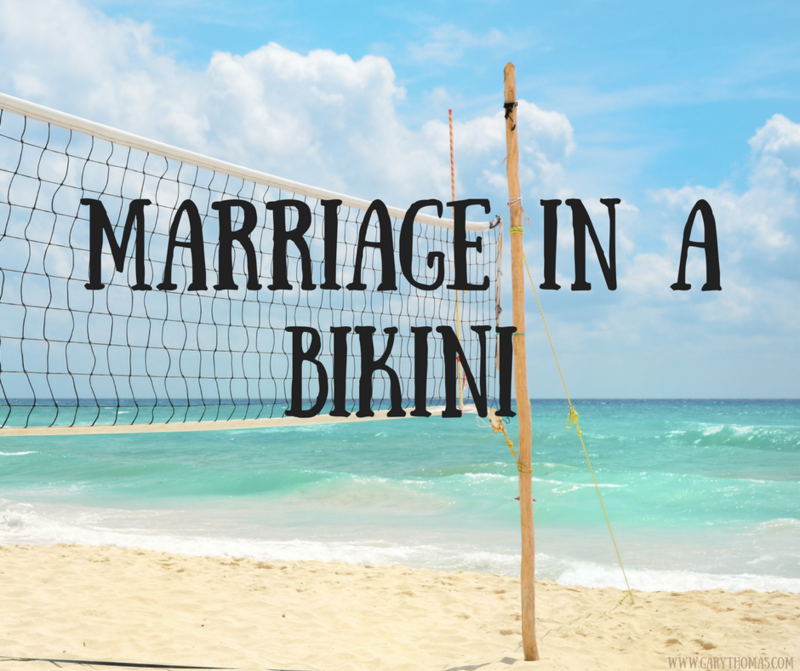 Marriage is kind of like beach volleyball—marriage in a bikini. There are two players per side, and the team (or marriage) can be only as strong as the weakest individual. If one partner has a persistent weakness, the marriage will suffer accordingly. In Frank Shorter’s autobiography My Marathon, Frank shares how at any given elite marathon there are only about ten runners who are physically capable of winning. The 1972 Olympic men’s marathon was delayed a day due to the terrorist attacks on the Olympic village. The marathoner who had the fastest time in the world that year was having lunch with Frank and complained that it just wasn’t fair—their training was carefully calibrated, and pushing the race to a different day would mess everything up. Frank was far more laid back, responding, hey, we’ve been training for this race our entire lives. One day isn’t going to make any difference. He added (to the reader, not this runner), that he knew this guy—even though he had the fastest time in the world that year—wasn’t going to win the gold medal. He had already talked himself off the podium before the race even started. My marriage will improve when I learn to roll with the changes, not obsess over things I can’t control, and refuse to think the worst when unexpected interruptions occur. As long as I allow myself to be obsessive in a negative way, that’s where Satan will attack our marriage as well as my joy, peace, and confidence. 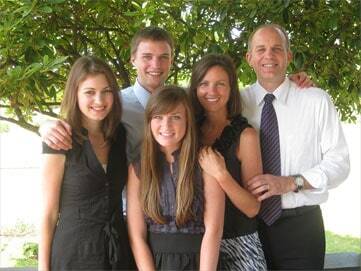 If you want to improve your marriage, think about that personality trait of yours that isn’t what you wish it would be. If you don’t address it, that’s where your marriage will suffer. 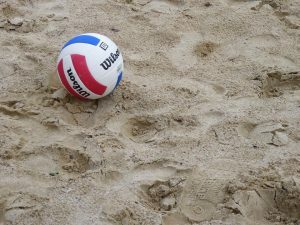 Remember—you’re like a beach volleyball team. If your spouse is responsible financially but you aren’t, your spending may still overwhelm your spouse’s discretion. If you are Eeyore and your spouse is Tigger, your marriage will suffer the effects of your negativity. Once you get married, you no longer stand alone—everything you are and aren’t will impact your marriage, either positively or negatively. Some of you are thinking, “Then I’m doomed, because my spouse is really weak in this or that area.” That’s arrogant, and it’s not helpful! The volleyball player’s teammate didn’t play a perfect game, but she didn’t point that out—she focused on what she needed to do to improve, which is all any of us can control. One of the best gifts you can give to your marriage and to your spouse is a commitment to keep growing in the Lord. If you cling to romantic sentimentality (“Why can’t he love me just the way I am?”), you’re preferring spiritual laziness over the health of your marriage and over the desire to bless your spouse. I have the opportunity give my wife a gift—a better, more mature me—but not if I’m too selfish or too lazy and instead just want her to keep stepping around the moral obstacles I drop in her way. Which means not growing is a choice. If we want to grow, we can. God has made growth available to every believer. Where do you need to grow? Where is your marriage threatened by a personal weakness? Start addressing those areas where you are weakest. Remember, you’re a two-man team. Your spouse has put a large amount of faith in who you are and who you become. Do everything you can to honor that commitment. If you want to read further on this, I’d like to suggest two books. My book, The Glorious Pursuit (1998, NavPress), talks about the ancient path of growth via practicing the virtues. It’s a practical primer on how to replace vices with virtues. A more comprehensive and academic approach to spiritual growth can be found in N.T. Wright’s After You Believe. Many have told me that Wright’s book was somewhat difficult to get through, but it’s worth the effort—his insights are far superior to mine if you’re willing to do the work to mine them. I think you answered this line of discussion by making Sactification The Spiritual Synonym for Self-Help. Self means Us, which really is impossible AND Prideful. God requires us Spiritually Bankrupt, that He may mold us. When two in Marriage are on this same path, WOW.. What obstacles are overcome and Growth really begins. Separately, we work on ourselves surrendering to God; Together in Oneness Surrendered Together to God. Its a Wonderful and Glorious Thing! This is really great. I do wonder, though, what about the idea (you mentioned it) of accepting your spouse they way they are? Is there a danger in focusing so much on growth that you never feel like you are really “doing it”? Because the perfect marriage is always out there on the horizon of improvement. But if you accept each other as you are, you are doing the perfect marriage right here and right now. I just wonder, what is the power of mutual acceptance? Some people get that because their strengths and weaknesses are such that they can easily accept each other without too much adjustment. That’s not to say that the net impact of their partnership is great (two thieves accept each other as they are). But what if the focus were on acceptance and not on self-improvement? It feels to me like there are many more biblical resources that speak directly to acceptance than there are for self-improvement. Or maybe they are both there under the rubric of grace and sanctification? Rob, there are SO many resources focusing on acceptance, that self-improvement (a phrase I don’t particularly like by the way) is looked at with suspicion, at best. We undercut the imperative of sanctification (which I think is a much better description than self-improvement) perhaps more than any other generation of the church. Being a lifelong fan of the ancient Christian classics, I keep finding myself going back to stressing growth–which is where I think the emphasis of the Bible is and where certainly the teaching of the church has been for most of its history. Perhaps the ancients were wrong and are dragging me down with them. But it’s fair of you to call me out on it. I do often feel like I’m swimming “upstream” with much contemporary teaching in this regard. A bit about myself puts this in context maybe. I’m currently single and open / hoping for a new relationship. I find myself oddly turned off to women who express themselves as committed Christians, who use all the usual terminology about loving Jesus and looking for someone who “loves the Lord” etc. There’s a part of me that almost wants to pursue non-believers or people who are a bit less committed. Weird and surprising to me! The reason, which I have puzzled out from my own self, is that 1) I came out of a relationship in which I was judged quite severely and found wanting and 2) I feel like Christian women are more judgmental than non-Christian women, with much higher expectations. I could be wrong. It’s just one of those feelings that grows on you based on random things. But I don’t want to bring someone into my life who is putting pressure on me to change. I’m not a jerk and I don’t resist growth. It’s just not something I want to be a major feature of a relationship. In the same way, I exercise and I’m healthy, but I don’t want to marry someone who is going to pressure me, even if politely, to run 5 miles every day. That’s not the emphasis I really want. Interestingly, this Sunday our pastor spoke about authenticity. He shared a concern that we ought to be disciplined in “being authentic”. It’s not a good thing to just vomit out everything that is inside us and then call it “being authentic” as if that justified it. Well, I see the point. But what does that imply about grace? It seems problematic to me. I keep going back to the idea that I can do acceptance 100% right now. I can’t ever do perfection, this side of the resurrection. Thanks for listening! I think it depends what glasses you are wearing. I think both need to happen. When I read this article, I saw myself as the losing volleyball player. I have the weakness. I need to spend time in growth. I didn’t even consider my wife’s issues. I want to share this article with her, and I sincerely hope she will do the same. She will read, and see the issues she needs to deal with in her. Meanwhile, I personally choose to focus on accepting my wife for who she is, being grateful for who God gave me, and not focus on her issues. That way I am less likely to whinge, and more likely to share the love. A wonderful explanation as to how and why marriage takes”work” and what needs to be done to make it go more smoothly.